Bring 2 tbsp. Old Bay and 8 cups water to a boil in a 4-qt. saucepan; add shrimp, reduce heat to low, and cook until shrimp are pink, about 2 minutes. Drain and transfer to bowl of ice water to chill; drain again. Peel and devein the shrimp if using shell-on. Combine all remaining ingredients, including 1 tbsp. Old Bay, in a mixing bowl and stir to combine. Add the chilled shrimp and toss to mix well. 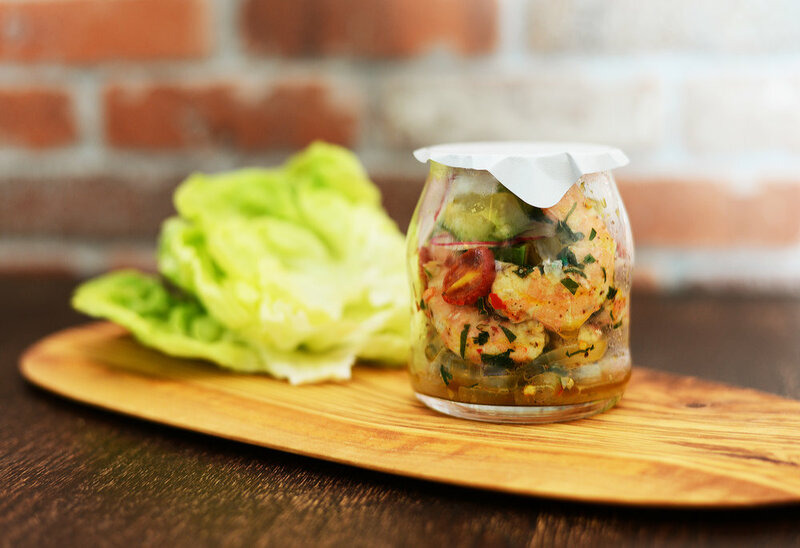 Store shrimp and liquid in a glass jar and refrigerate overnight or up to 3 days.